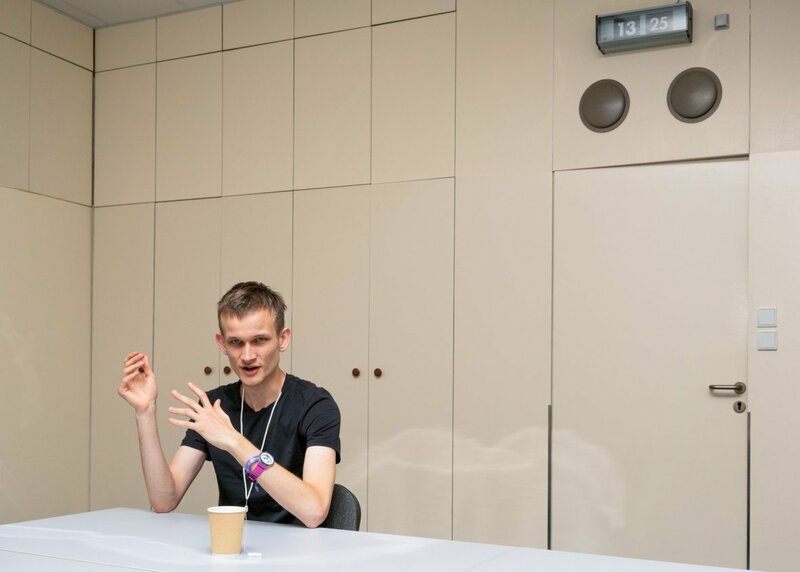 The MIT Technology Review had a chance of interviewing Vitalik Buterin at the recently concluded Ethereum (ETH) Developer Conference that was hosted in Prague, Czech Republic. In the interview, Vitalik explained why the network can only be truly decentralized after it stopped depending on him. Buterin at 24, has been the unofficial ‘CEO’ of the Ethereum project since it he proposed the creation of the network late in 2013. However, he revealed to the MIT Technology Review, that it was time for him to start fading into the background to allow the community to grow to its full potential in a decentralized manner. From this interview, one twitter user interpreted his words of fading away as Vitalik planning an exit strategy similar to how Dan Larimer has left numerous crypto and blockchain projects. Dan Larimer developed the blockchain technology of Graphene that powers BitShares and the Steem token. After starting BitShares in 2013, Larimer left the project to start Steemit. He then left Steemit in March, 2017. After leaving Steemit, Larimer joined Block.one as its CTO and spearheading a successful crowdfunding to create EOS. He is still the Chief Technology Officer at EOS. The tweet accusing Vitalik of planning an exit strategy, prompted him to reply by debunking all theories that he is leaving the project in a manner similar to how Dan Larimer left BitShares and Steemit. Are We Really Ready for Vitalik Taking a Back Seat? The real issue is interesting tho. Are people really ready or really want decentralization? It looks like they want leaders, even if that undermines the core value of the system. They just want price action. The CEO of Tron, Justin Sun, had planned to take a back seat in the Tron project after the Super Representatives had been elected to handle all issues pertaining to the network. However, in a move welcomed by many, Justin ran for, and won a spot as one of the 27 Super Representatives on the Tron Network. He also communicates with the Tron Community via twitter on a daily basis. By further dissecting Vitalik’s response to the tweet suggesting he is leaving, we see that he already has a plan to continue contributing to the project. What are your thoughts on Vitalik proposing a decentralized Ethereum network? Do you think the project can survive without him? Please let us know in the comment section below.